Get professional mail handling with this semi-automatic letter feed system that keeps your small business running smoothly and efficiently. The DP100 offers a built-in scale, great print speed and sharp digital images. The DP100 is perfect for smaller mailings but flexible enough for large volume mailings too. This fully loaded digital postage meter handles daily, routine tasks for all mail types including letters, flats and parcels. Cutting edge IntelliLink™ technology makes this unit flexible, easy to use and more productive. The DP100’s higher mailing capacity assures the very best mail handling performance for the most demanding small business. 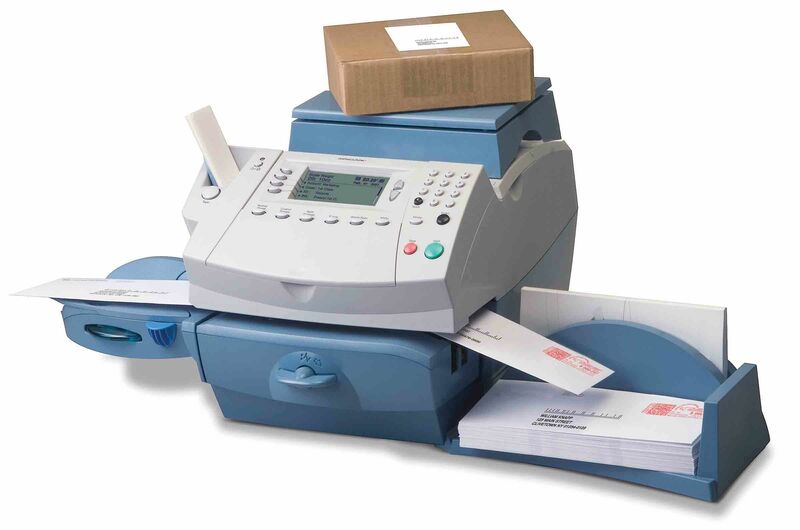 The DP300 digital postage meter provides a compact and complete mailing solution, perfect for small businesses who need big system capability from a compact footprint. 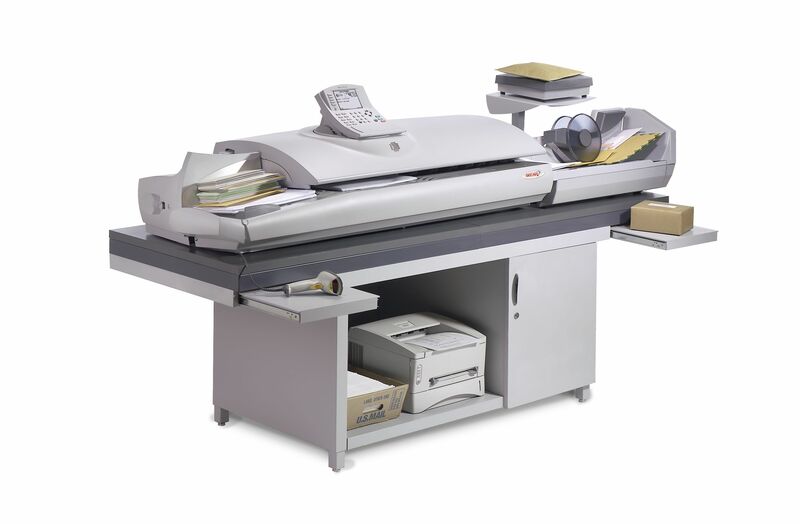 Offering an integrated weighing platform with your choice of maximum weight (up to 70 lbs), the DP300 lets you process mail of various sizes, from postcards to parcels - at speeds of up to 65 letters per minute. The new Connect+™ 1000 is a communication tool that can make your business money by turning every piece of transaction mail you already send into promotional mail. Your business can save money at the same time-no more need to spend on printing and storing custom envelopes when you can print your own as you go! 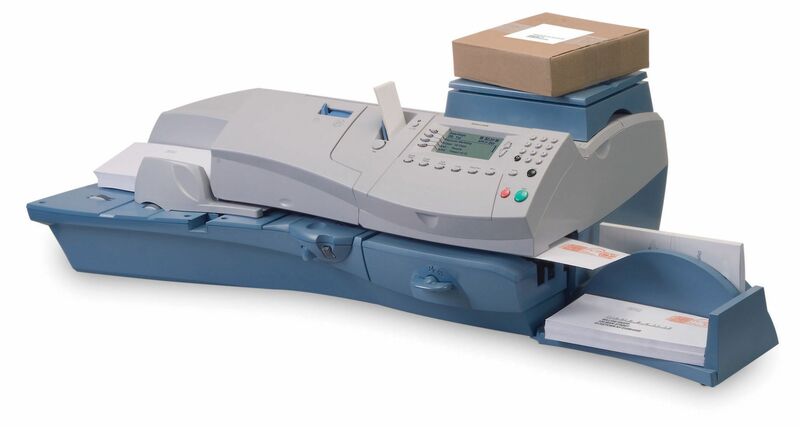 The Connect+™ 2000 is a powerhouse of productivity designed for the mid- to high-capacity mailroom. Not only is it simple to learn and operate with its intuitive color touch-screen user interface and application based navigation, but it can help you use every transactional mailpiece you send to grow your business. Its optional black and process color printing modules can simultaneously print marketing messages and postage indicia. The Connect+™ 2000 also enables users to download software updates, send reports, check postage rates and get support, right on the machine. The DP400 breaks new ground for the small business mailer, using cutting edge IntelliLink® technology for increased productivity and ease of use, so you can achieve fast and accurate mail processing. With the DP400's advanced features, you will have the capabilities of a fully functional mail center, all from a compact footprint. Take your mailroom to the next level with the Connect+™ 3000 both in productivity and capability. It prints mail permits and indicia faster than any machine currently available, but its transformative printing capabilities don't end there. 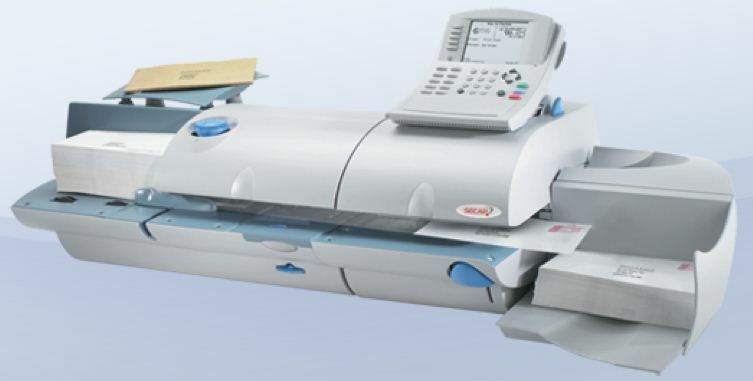 The Connect+™ 3000 can produce custom envelopes with transpromotional marketing messages on demand. This makes every envelope an opportunity to generate revenue. Plus, it's easy to use and maintain with an intuitive color touch-screen display, application based navigation and Web connectivity. Help the environment and save money, check out the green alternatives at the link below. 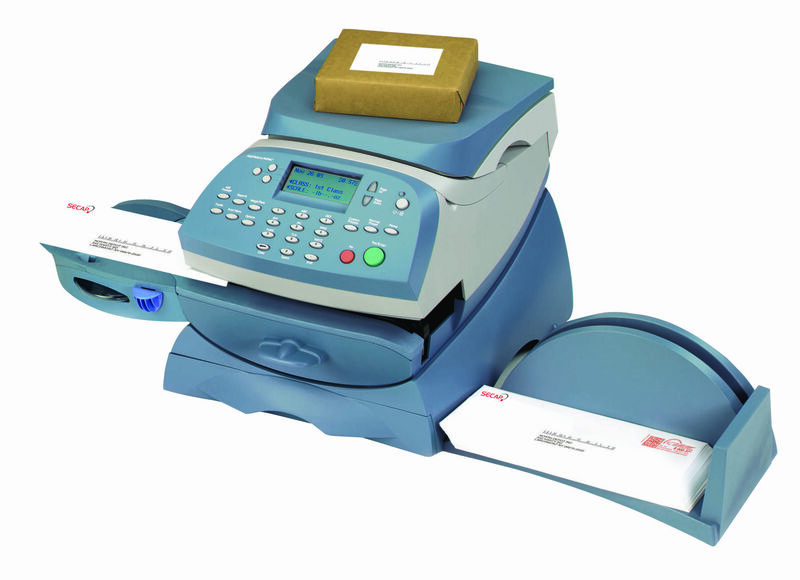 The DP1000 Digital Mailing System gives you unmatched productivity and rugged durability. This high volume, versatile mailing system can automatically feed, seal, imprint postage and stack uniform mail at speeds of up to 260 letters per minute. With advanced technology big mailing jobs get done quickly and efficiently. The DP1000 handles mixed mail ranging in size from post cards to 13" x 15" flats and up to 3/4" thick. Operator productivity is maximized by minimizing the need to sort mail by size. Manage all your mailing needs with this all-in-one system. 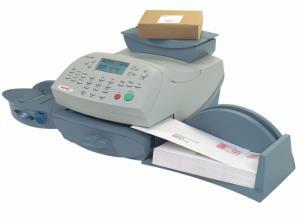 The K700 meter and integrated scale allows you to weigh and calculate postage in one easy step. Download postage anytime in less than one minute with the Postage by Phone® meter resetting system. And, with Intellilink® technology, you get automatic postal rate updates right from your phone line ensuring you always have the current rates. 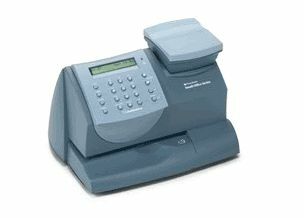 The K700 digital postage meter provides convenient and efficient mail processing for small business operations. This compact unit handles daily, routinetasks for many mail types including letters, flats and parcels.